Home of Psychotic Reviews and The Composer Compendium! Sega’s surprise launch of the Saturn in North America caught retailers and developers off guard. As a result the pickings were slim. The Saturn’s Japan launch happened only six months before the North American launch so most Japanese third parties did not have anything ready for international release either. The originally announced launch date was in September of 1995 for North America, but then they decided to launch it in May, right in the middle of E3! For a gamer that was anxiously anticipating the Saturn that might sound like a good deal at first, but that also meant that many games would be a full four months behind the launch. As a result, only Sega’s own first party games were available at first, but there was a decent spread of genres available. 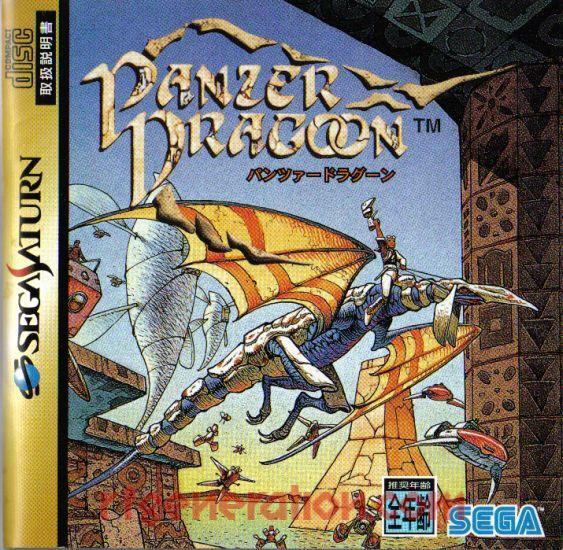 Panzer Dragoon was Sega’s cinematic action game for the North American launch. After playing through Panzer Dragoon a few times I can say that it feels heavily inspired by Sega’s own arcade history. This game feels like a modernized (for the mid 90’s), cinematic version of Space Harrier. There’s even a code to put in at the title screen that will derender the dragon and let you fly around by yourself, and its called Space Harrier Mode because of this! Team Andromeda was founded specifically to develop this game, and they delivered one of the all time classic launch games. Panzer Dragoon is so well polished that it shouldn’t feel like a launch game, and to be fair it was not available at the Japanese launch. The Japanese Saturn launch was dominated by Virtua Fighter. 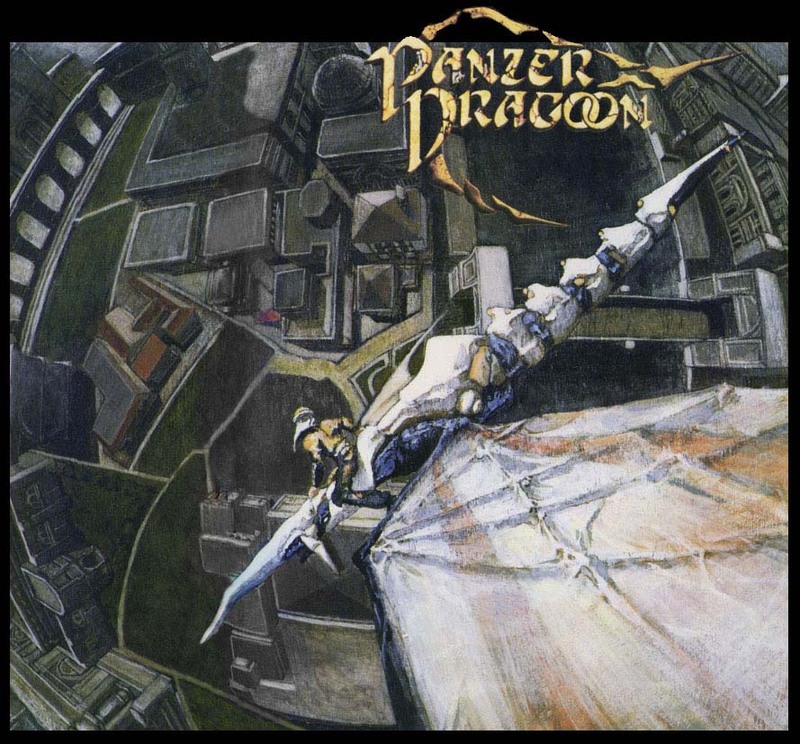 In Panzer Dragoon you fly on a dragon, unless you decide to go in Space Harrier Mode, and your mission is to stop the Black Dragon. There are six levels, called episodes to fly through, with five of them having bosses to fight at the end. The sixth boss is in the seventh episode, and that episode only carries the final fight against the end boss. The game is set far into the future, long beyond the modern pinnacle of technology and into an apocalyptic view of a world post industry and with only a tyrannical government adding any new technology to the world. Of course these new pieces of tech are only available to the military to keep the government in power. Since old tech is much more advanced they are ravenous in their search for it in ruins that are scattered across the landscape. The unnamed character, or Keil Fluge in other versions, is approached by the dying rider of a blue dragon after he is shot by a black dragon. Keil then carries out the rest of the rider’s mission, stopping the black dragon! Enter the player, and you’re off to the first episode. Remembering that this game is an early 3D game is kind of hard at times. It runs smoothly and the graphics in the world and characters are quite detailed for an early Saturn game, especially with its lacking 3D capabilities compared to its competition. The controls will pan the camera slightly from side to side as you move the dragon. The aiming reticle that pans moves quite smoothly during this panning, and while I only played with a D-Pad it would likely feel better to play it with a Saturn arcade stick. This game does feel like it would be right at home in an upright cabinet with a stick, fire button, zoom button, and camera switch button. Those are the only three controls in the game, movement, shooting, and moving the camera to see your flanks, behind you, and zoom in and out. The weapon’s mechanic does have a lock on feature. By holding down any fire button you can lock onto any enemies you swing your reticle over, and then launch your lasers when you release the button. The firing button does not autofire, but you can alternate presses of A, B, and C to get a series of rapid fire shots. Depending on the area it may be more useful to lock on, or it may be better to use rapid fire. The shoulder buttons are used to switch the camera’s focus from side to side. L swings it left, L again swings it behind the dragon, L again goes to the right flank, and one more press of it brings you back to the front quickly. After one press you can slowly aim your way around your flanks and back as well, but the shoulder buttons are useful for quick switches. Finally, X, Y, and Z set to different camera zooms. This is a game about memorization. Its not overly difficult, but each level does increase the difficulty over the previous level. You should not have much trouble getting through the first level the first time you play the game, but getting through level 5 or 6 the first time you see them is a more daunting task. Panzer Dragoon does offer different level difficulties, but playing on Easy only lets you get through level 4, you have to play on Normal to actually get the chance to beat the game. Easy can be used to master those first four levels so when you do move up to normal you will know the enemy patterns. Taking out a high percentage of enemies will give you an extra life, or continue in this game, at the end of each level. Getting close to a perfect will give you two continues. If you want to see the real ending of the game you have the beat this game on Hard! The best way to beat the game on hard is to memorize everything in all six main flying levels so nothing can threaten you. Thankfully the game is short. Each level only takes a few minutes, and the bosses don’t take long to defeat once you figure out their pattern, where their weak spot is, and what attack method works the best on them. A playthrough of the game takes around an hour from start to finish. The challenge comes from having to memorize the game and then increase the difficulty to get the true ending. Since the game is so fun and easy to pick up and play with a short time constraint I can forgive it for all this memorization.